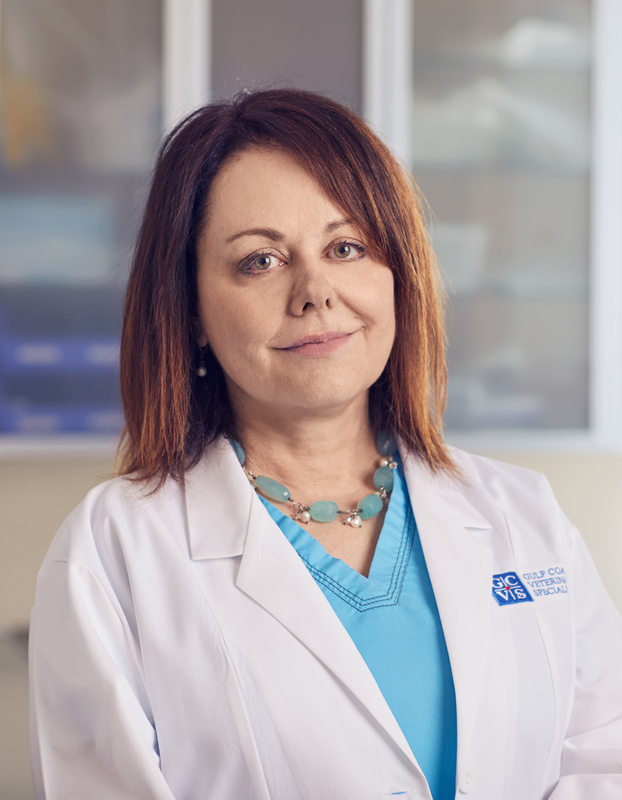 Dr. Karin Beale received both her Bachelor of Science degree in biology and her Doctor of Veterinary Medicine degree from the University of Florida in 1985. After graduation, she was engaged in private clinical practice in the Washington, D.C., area before returning to the University of Florida for a residency in veterinary dermatology. After residency, she attained board certification in dermatology, and remained on faculty at the University for four years before leaving to found Gulf Coast Veterinary Dermatology and Allergy. Having lectured nationally and internationally, Dr. Beale has a special interest in infectious conditions of the skin and ear, and managing the allergic patient. Dr. Beale shares her home with her four children, husband and two golden retrievers. She is a first-generation American, speaks French and enjoys traveling to Europe to visit relatives. In her spare time, she enjoys various artistic endeavors, including painting and making jewelry. We love Dr. Beale and Kelly, the vet tech. They are extremely competent and so loving to Pip. Everyone at GCVS goes out of their way to make us feel at home!